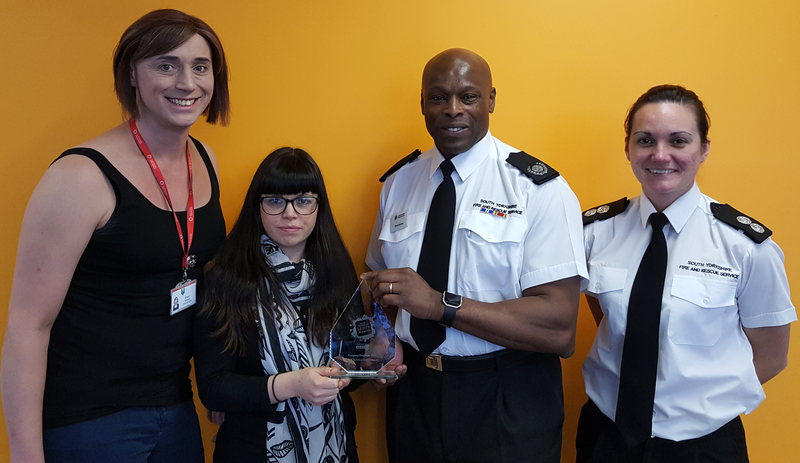 The fire service has picked up an award recognising its contribution in supporting LGBT+ issues in South Yorkshire. South Yorkshire Fire & Rescue was named 'employer of the year' at the inaugural South Yorkshire LGBT+ Awards in Sheffield. The award recognised a company or employer which provides an environment that's supportive and inclusive of all members of its workforce and takes specific measures and actions to ensure staff are working within an equality and diversity focused environment. The fire service beat off competition from 17 other employers to win the award, which was voted for by the public. As well as providing a supportive environment for its workforce, the fire service also supports local LGBT+ pride events, including Sheffield Pride, Pride of Rotherham and Sheffield Pinknic. Deputy Chief Fire Officer Martin Blunden, said: "This is a real honour and whilst we will always aspire to do more in this area, the award reflects the progress fire services like ours are making towards LGBT equality, which means we are better placed to respond to the issues faced by our employees and the LGBT community. Firefighters, support staff and volunteers come from all walks of life. For LGBT employees, knowing that the organisation and colleagues will support them to be themselves means they can focus on their job which is to make people safer." Alison Dyson, who volunteers in the community safety team and attended the event, said: "I am very pleased that the fire service got the award for several reasons. Members of the public voted for us as an employer, which suggests we are doing something right. I feel comfortable here and just one of the team. There can always be room for improvement in any organisation, but from my point of view I think we are heading in the right direction in supporting all of South Yorkshire's communities."